Split, Hvar, Vis, Korcula, Lastavo, Miljet, Dubrovnik, and more! 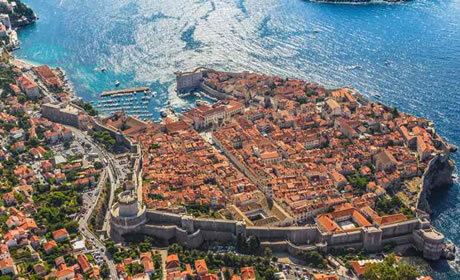 This Gay Sail Exclusive clothing optional luxury all-inclusive gay cruise let you discover the most beautiful islands and ancient picturesque villages of Croatia and of course the World Heritage cities of Dubrovnik and Split (Trogir). During your gay sailing adventure you are taken care by our X-clusive Gay Sailing hosting team (skipper and co-skipper/ cook) and they take you, and a group of up to 10 guests, on a large and very luxurious 40 feet Lagoon catamaran with all comforts. On this Exclusive gay sailing cruise you will be spoiled with a rich breakfast, varied lunch with a glass of wine, soft drinks, coffee and tea, and after each sailing day with an afternoon aperitif and snack. And if you also want to learn sailing, navigate and knot tying during your vacationyou beside realxing, sunbathing and swimming? That is possible of course! You can select one or two weeks sailing, both weeks have a different route and we visit other islands. The next day we sail to the island Vis, which has fifty-four bays and coves. On one of the satellite islands is the famous Blue Cave. Stopping in one of the many bays for a swim and a lunch break, before we sail in to town..
For the guys who booked two weeks: Day off to explore Dubrovnik. For the one week passengers: Time to say goodbye to your new friends and disembark after breakfast. You can fly to Split International airport from where it is a short taxi drive to the Marina in Torgir. If you join us one week, you can take a bus back from Dubrovnik to Split or fly back home from Dubrovnik International airport. After two week we are back in Split. There is a good bus connection between the two cities. You can also book a local flight from Dubrovnik back to Split with Croatia Airlines (30 min).